Kanoi is the project of Austrian musician Benjamin Kantschieder. He’s released several albums and singles as Kanoi, some as a one man band and some with other musicians, though last year’s From The City To The Stars was my introduction to his music. Gemstone Sunrise is the latest, a 5 track digital only EP that Kantschieder is promoting as a teaser for his next full-length which will be released on vinyl by Clostridium Records later this year (Closrtridium also released From The City To The Stars). 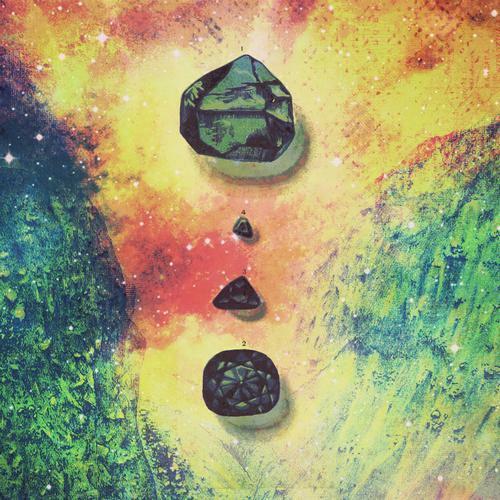 Naeco I is a short, spacey, rhythmic rocking introductory piece that leads into the funky Psych rocking Buru Haze. It’s basic Hard Psych, with a slow but assertive groove, a brash dirty edge to the rhythm guitar and tasty Hendrix inspired leads. Kantschieder is faithful to the spaced out spirit of Pink Floyd with his cover of Embryo. By The Sunrise is a beautiful song with strumming acoustic guitar and vocals at the core, and augmented with a slow, drugged beat, scrumptious Blues-Psych guitar leads, ethereal soundscapes and swirly electronics. VERY nice. Finally, Terry is dedicated to Terry Pratchett, the great Discworld author who passed away in March. I love the lazy celestial Space-Prog aura, and this too has a Pink Floyd vibe, including Bluesy Gilmour-esque guitar licks. This and By The Sunrise are my favorites.